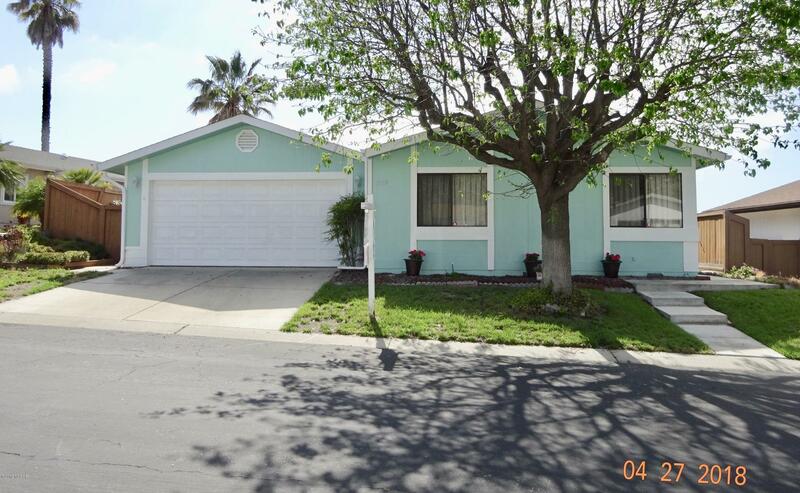 Located in desirable Quail Meadows East Senior Park. Location.Location. This super clean newly updated 3 bedroom home features New Laminate flooring (50) yr. guarantee. New water proof laminate in Bath Rms.New Stainless appliances(never used) Include a 5 burner gas cook top, Whirlpool Dish washer and Fridge, New Garbage disposal, New Stainless kitchen sink & Faucet, New guest Bath sink & Faucet. New Code compliant Toilets in Both bath Rms.New Interior and Exterior paint. A good size rear yard features a large tool shed and raised planting boxes. Sunset views . The front yard has an amazing succulent garden. Guest parking is one house away. This home has a warm and happy feel. Directions to Property: College to Quail Meadows East. Left on Quail Meadows Dr. 2nd street is Ridge view turn Right follow around top. 2nd house on the West side.